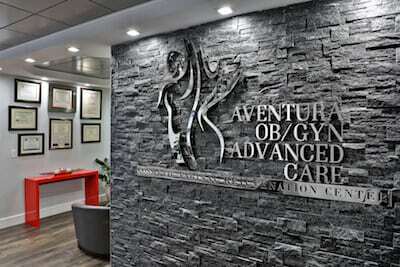 Aventura OB/GYN Advanced Care in North Miami, Florida offers obstetrical care, education, and support in a warm, nurturing, and responsive environment. Board-certified obstetrician Dr. Remberto Santos is dedicated to a safe delivery for you and your child, whether you elect natural childbirth, need a Caesarean section, desire a vaginal birth after a C-section (VBAC), or experience a high-risk pregnancy. Regular checkups and screening tests help ensure that you and your baby remain healthy throughout your pregnancy. Dr. Santos provides comprehensive prenatal care to help detect and treat any problems promptly to prevent complications or a miscarriage. He may also recommend or perform various screening tests throughout your pregnancy. These help assess your baby’s health and can determine whether your child is likely to have specific birth defects. Dr. Santos will explain each test and discuss your options. Common tests during the first, second, and third trimesters include ultrasounds, blood tests, nuchal translucency screening, and possibly genetic screening, chorionic villus sampling, or amniocentesis. Some screening tests are performed to check on your health. A glucose challenge test and, if necessary, a glucose tolerance test can detect gestational diabetes. A group B strep (GBS) culture tests for bacteria found in the lower genital tract. GBS usually doesn’t cause any problems in women before pregnancy but can cause serious illness in the mother during pregnancy as well as life-threatening infections in newborns. Typically, you will see Dr. Santos monthly for the first six months of pregnancy, every two weeks during the seventh and eight months, and weekly in the ninth month of pregnancy. A pregnancy is considered high-risk if you have a pre-existing medical condition or if you develop one during pregnancy. Pregnancy in women older than 35 is also classified as high risk. If you have a high-risk pregnancy, you will have more frequent appointments and more screening tests. During your visits, Dr. Santos will monitor your health and make sure the baby is growing as expected. If necessary, he may refer you to a high-risk maternal and fetal medicine specialist for additional or more advanced care. Twins, triplets, or higher-order pregnancies (four or more babies) can occur if more than one egg is released during the menstrual cycle and each is fertilized by a sperm. Also, the use of fertility drugs to induce ovulation and in vitro fertilization involving more than one embryo transfer may result in multiple babies. Since there is a higher risk of certain complications if you are pregnant with multiples, you may require more frequent prenatal care visits with Dr. Santos. Starting in your second trimester, you may have ultrasound exams every 4–6 weeks. If a problem is detected, you may have special tests, such as a nonstress test or biophysical profile, and more frequent ultrasound exams. If you have had a C-section delivery, you may be able to deliver your next baby vaginally. This is known as a vaginal birth after Caesarean (VBAC), and Dr. Santos is one of the few physicians in the Miami area who performs it. If you choose a VBAC, you will be closely monitored during the delivery, and if you or your baby shows any signs of distress, an emergency C-section can be done. Assisted conception can be achieved through various means including intrauterine insemination, in vitro fertilization, or donated sperm, eggs, or embryos. Although these methods do not pose any long-term health risks, evidence suggests links between assisted conception treatments and a greater risk of complications in pregnancy, labor, and birth. However, you can rely on the comprehensive care of an experienced and board-certified obstetrician like Dr. Santos from conception to successful delivery. Your newborn’s umbilical cord blood contains a life-saving resource called stem cells. These are the building blocks of our blood and immune systems. Cord blood banking offers a once-in-a-lifetime opportunity for you to preserve your baby’s stem cells and have them available for existing or future medical treatments. Umbilical cord blood is being used to treat more than 70 life-threatening diseases, including oncologic disorders, bone marrow failures, hematologic and metabolic disorders, and immune deficiencies. Cord blood banking is a completely safe process for both mother and child since cord blood is collected after the baby is born and after the umbilical cord has been cut. Family banking, which allows you to store your newborn’s cord blood stem cells and have them available should your family ever need them. That way, you retain ownership of the stem cells. Public donation, which allows you to offer your baby’s cord blood stem cells to the public network at no cost, to be used by any patient requiring a cord blood cell transplant. With this option, your family does not retain ownership of the cord blood. If you are looking for an experienced and compassionate obstetrician you can trust in the Miami area, call Dr. Remberto Santos. He would be honored to deliver your child and will guide you throughout your pregnancy. Request an appointment online or call our North Miami, Florida office today at (305) 931-7960.